Sangeet is the celebration before a hindu wedding. There is music, dancing, food and a henna artist. 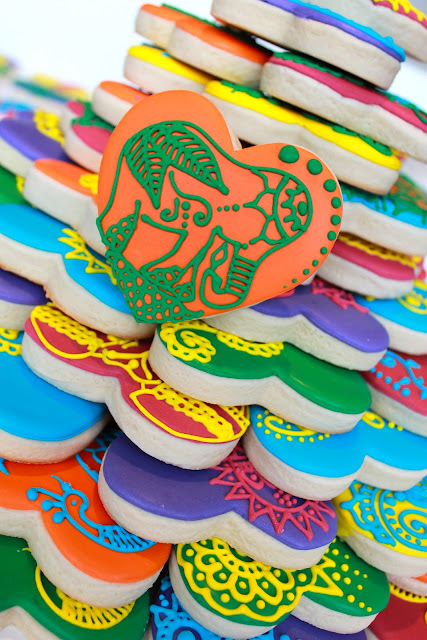 So of course what better than henna cookies to go with??! 12 dozen, that is. It took a while. This picture is missing about 75 cookies. The details were so fun. For inspiration I looked at a lot of henna tattoos. One of my favorites was the Elephant. 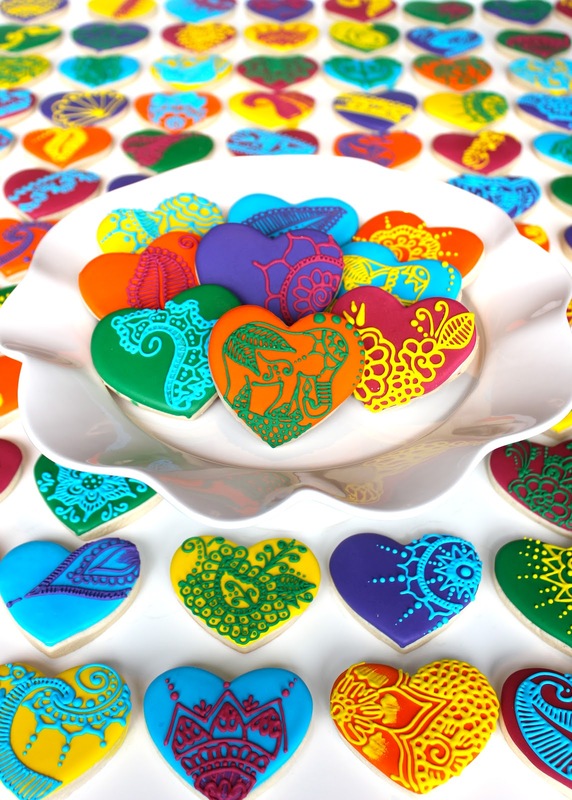 I LOVED doing these cookies! They are now on their way to NYC. Thanks for your order Neha! Hey Caitlin I was just browsing your cookies and you truly have a gift! 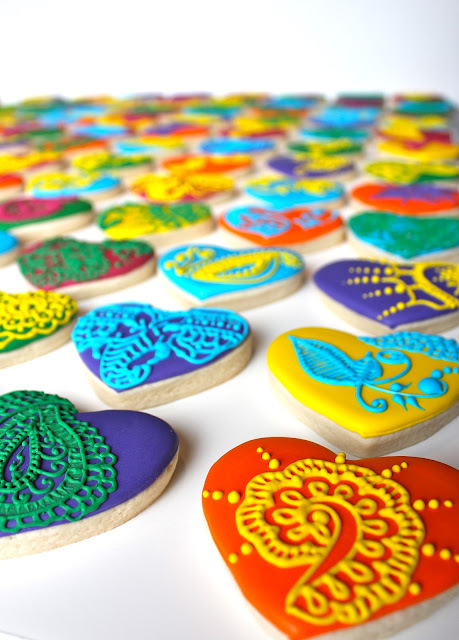 Your henna cookies are unreal?!? I can't stop looking at them. Every one is so unique and so beautiful. I love what you do! How much do charge to get henna cookies? I would like to order 200 of them. how much would an order of 200 henna cookies would cost me?